When you are in need of a business jet charter to or from Manchester Airport (MHT), be sure to give CFG a call. Come experience the Charter Flight Group Difference in business jet charters via Manchester Airport (MHT). The CFG Difference makes ALL the difference. The CFG Difference begins with a special attention to your safety and security. We understand that unless a business jet charter flight is safe, it cannot provide great service. Thus, service starts with safe aircraft. In addition, we understand that often business travelers discuss sensitive information. Hence, security is a concern and directly related to superior service. The CFG Difference ensures both while extending far beyond, whether traveling via Manchester Airport (MHT) or any other of countless locations worldwide. 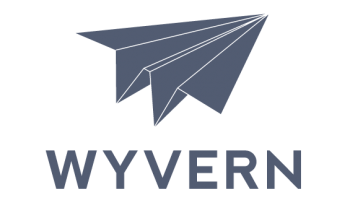 Step one in the CFG Difference is strict compliance with all FAR Part 135 regulations coupled with voluntary audits via the two best third-party safety inspection companies in the world: Wyvern and ARG/US. This ensures that every aircraft in our enormous group is ready for flight at a moment’s notice. Regularly inspecting over 6000 business jet charter aircraft is not easy, but we believe you are worth the effort. This ensures that we provide the finest on-demand service in the world. Step two involves the flight crews. To ensure that all maintain the highest standards of professionalism and safety, these too must succumb to the same degree of scrutiny as the business jet charter aircraft. Any failing are released to work with our competitors. This ensures that each business jet charter, whether via Manchester Airport (MHT) or anywhere else, is the most secure possible. Call us today and discover for yourself why so many at Manchester Airport (MHT) are switching their business jet charters to Charter Flight Group. The CFG Difference begins with a phone call. Dial toll free 1-888-634-7449 any time 24/7/365. You will be greeted with a seasoned expert in business jet charters via Manchester Airport (MHT). You will be delighted that no matter your needs, we will strive to earn your business. See, although we have been serving business jet charter clients for over three decades, we have not forgotten that each client is unique and special. Thus, we help you get what you need every time. If you need a light jet such as a Cessna or something larger like an Embraer. A Global 5000 or even a Boeing 737 for a group flight. If you are looking for a one way business jet charter, an empty leg, a piston, or whatever…we are here for and because of you. We never forget that. That…is the CFG Difference. Whether you prefer a business jet charter via Manchester Airport (MHT) or any other, you will soon discover the CFG Difference yourself when phoning us at 1-888-634-7449.